Famous Hollywood director Tony Scott plunged to his death as he jumped off a Los Angeles Bridge on Sunday at around 12:30 pm. The 68-year old director was the brother of famous director, Ridley Scott. 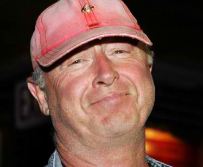 Tony Scott directed Top Gun, Enemy of the State and Beverly Hills Cop II among others. Several tourists and passersby witnessed Scott’s leap from the Vincent Thomas Bridge. He fell within a few feet from tourists on board a harbor boat cruise. Los Angeles police are still piecing together what could have caused his suicide. Prior to the incident, he wrote a suicide note and left it in his office. The contents of the note were not revealed to the public. The sequel to Scott’s Top Gun was in its early stages prior to his death. They had already discussed it with Top Gun star Tom Cruise and producer Jerry Bruckheimer. The movie was set for release on 2014, had the incident not happen. He was also set to work on a movie called “Killing Lincoln” starring Christian Bale, due for release next year. Los Angeles County Coroner’s Office is set to perform an autopsy on the body. Witnesses say that Scott climbed a fence on the south side of the bridge and leapt “without hesitation”. Those who were around called 911 and a dive team from the Los Angeles Port Police was quickly dispatched. They pulled the body from the water around 3pm and taken to a dock in Wilmington where they turned it over to the coroner’s office. Another note was found inside his car where there Scott had written the contact number of his wife. Weeks prior to the suicide, he was seen in Beverly Hills looking disheveled. He owned Scott Free Productions together with older brother Ridley.